The face of sports media—especially as seen on pregame, postgame and halftime shows on television—may seem diverse. But just how representative of athletes, sports fans and American society is it? What about management—the people who do the hiring and assigning and decision-making about what is covered, and how? What about women in sports media? And what do diversity advocates have to say about sports media and coverage of the issues? What can—and should—change? 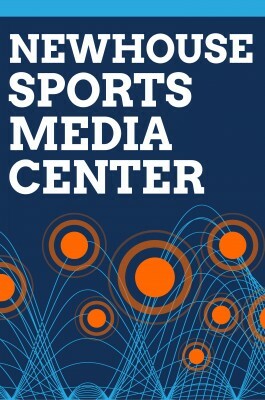 These questions and others will be explored as part of “Making the Calls: The State of Diversity in Sports Media in 2014,” a daylong forum sponsored by the Sports Media Center in the S.I. Newhouse School of Public Communications. The event will be held Wednesday, Feb. 26, from 10 a.m. to 4:45 p.m. in the Joyce Hergenhan Auditorium in Newhouse 3. Follow on Twitter at #MakingtheCalls. The seminar will open with welcoming remarks from Newhouse Dean Lorraine Branham, followed by a series of panel discussions with an array of sports media professionals and diversity advocates. The event is free and open to the public. A reception will follow. For more information, contact Nicholson at 315-443-4065 or jsnich01@syr.edu.